يوفر فندق Country Comfort Terrigal ظروف إقامة راقية وهو خيار رائج للسياح ولرجال الأعمال أيضاً. يقع في منطقة شواطئ, مطاعم من سنترال كوست. يمكن من هنا للضيوف الاستمتاع بسهولة الوصول إلى كل ما تقدمه هذه المدينة النابضة بالحياة. يشكل هذا الفندق ملاذاَ مريحاً للاسترخاء ويمنح زواره فرصة للاستجمام والتجدد، وهو يقع على بعد خطوات من المعالم السياحية الكثيرة للمدينة كمثل: Terrigal Beach, Avoca Beach, Katandra Reserve. كما يقدم Country Comfort Terrigal الكثير من الخدمات لإغناء رحلتك في سنترال كوست. يقدم الفندق مجهز لذوي الإحتياجات الخاصة, مكتب الاستقبال على مدار الساعة, صف السيارات, خدمة الغرف, مطعم لضمان الراحة القصوى لضيوفه. يمكن للنزلاء الاختيار من ضمن مجموعة من الغرف المصممة بعناية لتعكس جواً من الراحة، والتي يتجاوز عددها 47. يقدم الفندق العديد من الفرص للاستجمام كمثل حمام سباحة خارجي, سبا, ملعب للأطفال. إن Country Comfort Terrigal هو خيارك لخدمة الفنادق الراقية في سنترال كوست. Clean and well maintained, with generously sized rooms, the excellent local staff couldn't have been more friendly and helpful. A short stroll into the nightlife of Terrigal made it perfect for a quick weekend exploring up and down the central coast on a medium to low budget. Like many Australian hotels in this price range, however, this Country Comfort Hotel was stuck in the early eighties facilities wise (read: bare brick walls, solid identikit furniture, moulded plastic bathroom fittings etc). Not a fashionable option, but saving a couple of hundred bucks a night vs other trendier local options is an excellent bonus on top of the lovely service, central location and proximity to the stunning beaches of the central coast. Close to town but far enough away to be quiet. Short walk to the beach. Comfortable room. Pleasant stay - satisfactory all round. Proximity to the beach and a nice outlook. This hotel impressed as being in urgent need of renovation funds; from painting to bedding, bed linen, bathroom towels and bathroom hardware. The pool requires work and the rooms need airing to eradicate the mouldy, musty smell which confronts you on entering. The hotel is in an excellent position but presently does not reach its potential. Enjoyed the surroundings and convenient to ocean beach and attractions. Relaxing too. They have a sign saying restaurant , however after booking in and wanting a meal was told they only served breakfast . There was no mini bar so I bought 2 Victoria bitter beers from their reception . On checking out I was charged $16 for this . Very excessive ! The room was well clean but slightly dated. the television didn't work properly, the location is perfect for access to Terrigal. The stay was pleasant. The staff were friendly and exceptional at their jobs. Unfortunately the hotel is quite dated and not everything Is working as it should. The room was clean and comfortable. As above, our stay was brief and the motel convenient. My wife was not happy with sheets? Generally motel is aging and although in good condition the architecture is getting tired. On the first of our two night stay the room was very musty and we requested to be moved to a different room for the second night, which we were without any hesitation. The motel was easy walking distance from Terrigal center and the beach. We would consider returning for a short stay for convenience. We had a lovely stay. We were only there for 2 nights to attend a party for our daughter so spent little time at the hotel. The pool area and gardens were lovely. 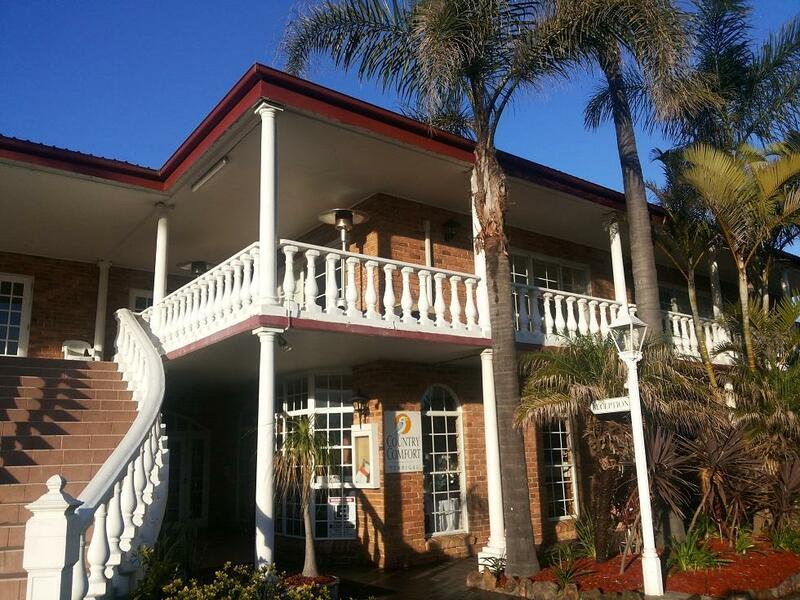 A good little hotel which is in a good area of Terrigal. Everything that a business traveller needs for a short stay and a good price too. Good location, minutes to beach and main street shops and restaurant. But the facilities were a bit too old. We only stayed for one night, service was friendly, room was adequate, considering how close to the main road, it was a very quiet room and we heard no traffic noise at all.